Paranormal Files: Fellow Traveler is rated 4.4 out of 5 by 16. Rated 5 out of 5 by 78gameam from This is a great game The story line is a little different, and the bonus chapter is as challenging and fun as the previous chapters. I highly recommend it. Rated 5 out of 5 by tophatmcgee from Great Begining to a New Series The look for this game is just right. Not too dark it is very fitting to the mood. There is a mix of old and new to the games and HOPS, very refreshing. Good length. Little bit of a jumpy/creep factor, but nothing that will keep you up at night :) I'm not going to go over the storyline, others do this very well. I will just say that in my opinion, this looks to be another hit series from Elephant, good job! Rated 5 out of 5 by sapphireblue11 from No One Is Good Enough for Her Son! Pick up a hitchhiker on a deserted road? Nooo, don't do it! But of course he does. And so begins the game of his life. Great storyline, fun puzzles and HO scenes. A few puzzles were real head scratchers-and I enjoyed the challenge. I played the standard version and I'm so impressed with this game I'm itching to play the CE version. Rated 5 out of 5 by lynnminer from Can't Wait For The Next One!! This is a great new series and I hope they come out with the second one soon! I LOVE puzzles and there were a couple challenging ones, which is so much better than the "non" thinker ones. I really like the storyline and there's one evil character I don't like. (you'll see why if you play) I'm not a fan of HOPs but I actually liked the ones in this game. My only criticism is the main character is not scared at all. Oh well...some people stay calm in situations where death is looming, lol. It didn't bother me enough to change my opinion of the game. Sooo much fun. Two thumbs up and bring on the next one! Rated 5 out of 5 by ladynextdoor123 from Great Game I really enjoyed this game! Even though the paranormal has been done before, this game had a really interesting story and some fun puzzles. Rated 5 out of 5 by Casey48 from Looking forward to more of the same!!!!!! This one followed the story line front to back - and a good story line it is!! All characters stay true to their nature; the puzzles were good and many of them challenging, even if the explanation left you scratching your head and wondering where to start. There were a couple of my favorites: multiple games in one; deciphering how codes were broken, and then your typical HO's, but not a lot of those. Even interactive HO's which are a relieving change of pace. All in all, very entertaining and fun. Highly recommended. Rated 5 out of 5 by skullfun from ~~~ELEPHANT'S NEW SERIES IS A MASTERPIECE!~~~ Rick Rogers (the character you play) was driving on Route 39, heading towards his parent’s house when he encountered a strange hitchhiker on the side of the road. With the goodness of his heart, he picked up the strange girl and promised to drop her off at a nearby mansion. Things took a turn when the girl suddenly disappears and Rick’s car crashed. Now you must explore the creepy mansion and discover the dark truths behind the recent series of disappearances on Route 39. Will you be able to escape this fate or will you die within three days just like everybody else? 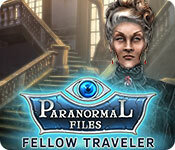 Paranormal Files: Fellow Traveler is the latest series from the HOPA veteran, Elephant Games which subsequently is one of my favorite developers. 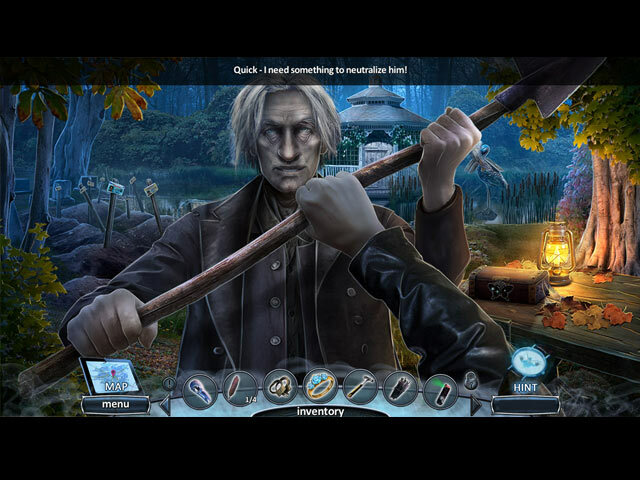 The game starts off with an all too familiar opening sequence, which then leads to a haunted house-themed storyline. While on the surface, the plot of Paranormal Files: Fellow Traveler seems like just another tired attempt at the haunted house theme but the fascinating backstory and the heightened sense of urgency makes this brand-new adventure an unexpectedly entertaining one. Elephant Games is always reliable when it comes to creating just the perfect environment for their games. Impressively, the environment in Paranormal Files: Fellow Traveler is extremely haunting and satisfyingly creepy. This is due to the outstanding visuals and effects, as well as the sinister and bone-chilling background music. The story line really becomes incredibly interesting once you meet Rose Bennett and learn the unusual back story. Rose has some really disturbing secrets to share as you progress beyond "demo play". 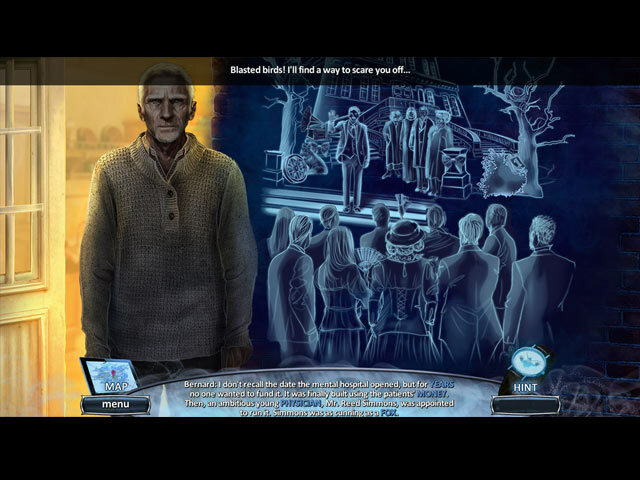 Gameplay wise, Paranormal Files: Fellow Traveler gives the player a lot to do. Each location is packed with interactive tasks and while they are often fairly straightforward, the back-and-forth navigation amps up the challenge level quite a bit. 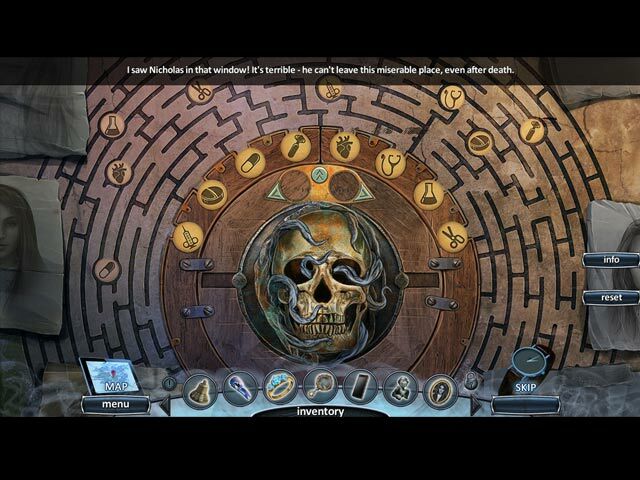 As for the hidden object scenes and the puzzles, they are well-crafted and nicely varied, with just the right degree of complexity and the way this is integrated into the storyline is extremely clever! I thoroughly enjoyed every moment of this fascinating new series. Playing on the CUSTOM setting, I finished Paranormal Files: Fellow Traveler in just slightly over four hours and the CE bonus chapter in just 40 minutes. I think Elephant fans are really going to appreciate this new series as much as I did. I can't wait to see what Elephant has in store for the next edition and I highly recommend this jewel of a game to casual players of every level. Cheers! Rated 5 out of 5 by SparkleGlow100 from MOODY- wintry bare trees and overcast skies Available at BFG since 2018. Review based on completed game. Not a scary game, but moody and detailed. Quite often, I'm in the mood for a game... just like this! Never gets really dark in content, so if you're looking for more of a fright, or just more of a sinister vibe, you won't get it here. Some relatively normal looking scenes are thrown in with ones of large, abandoned buildings and rooms. Outdoor scenes include background woods, and various gardens that were once alive and vibrant, but are now left overgrown and hide secrets. Great if you want a bit of solitude. You can almost feel the damp in the air! 6-8 HOPS. Fun puzzles. Great background music (more of a non-instrusive, atmosphere enhancer). 4 sound controls. I hope the second one in the series is as good as this one! Rated 5 out of 5 by Majestyx12 from Love this new series from Elephant With 8 puzzles and 9 hops. It has a good balance. I liked how creepy the game is from the makers of Haunted Hotel, Halloween Stories, Surface, Mystery Trackers, Midnight Calling and Grim Tales. If you like their past games you know you will have fun in this one. You play Rick Rogers and since this is the start you see how he gets roped in on Route SR-39. It's a ghostly tale. Rated 4 out of 5 by gooddragon38 from Nice storyline, liked the lead character I enjoyed this game and played all the way thru plus the bonus chapter (usually I get a game and play half way then forget about it). I liked the lead character, the voiceover work was excellent. Well done background music added to the atmosphere as well. The only thing I didn't care much for was some of the puzzles but that's what the skip feature is for lol. Looking forward to playing another if this is a series.